Clothing in India varies from region to region depending on the ethnicity, geography, climate and cultural traditions of the people of that region. Historically, men and women's clothing has evolved from simple Langotas and loincloths to cover the body to elaborate costumes not only used in daily wear but also on festive occasions as well as rituals and dance performances. In urban areas, western clothing is common and uniformly worn by people of all strata. India also has a great diversity in terms of weaves, fibers, colors and material of clothing. Color codes are followed in clothing based on the religion and ritual concerned. For instance, Hindus wear white clothes to indicate mourning while Parsis and Christians wear white to weddings. A dhoti is from four to six feet long white or colour strip of cotton. This traditional attire is mainly worn by men in villages.It is held in place with the help of a belt, ornamental and embroidered or a flat and simple one, around the waist. 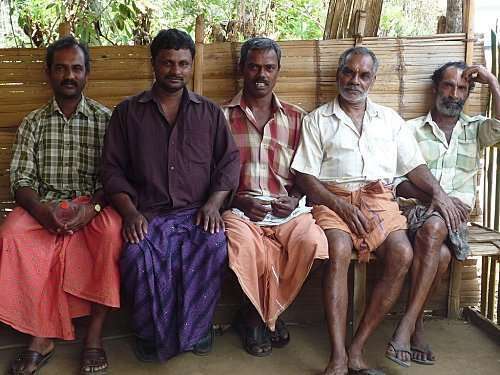 Though mostly worn by men, elderly women also prefer lungi to other garments owing to its good aeration. It is mostly popular in south India, though people of Bangladesh, Brunei, Indonesia, Malaysia, Myanmar and Somalia also can be seen in lungis, because of the heat and humidity, which create an unpleasant climate for trousers, though trousers have now become common outside the house. 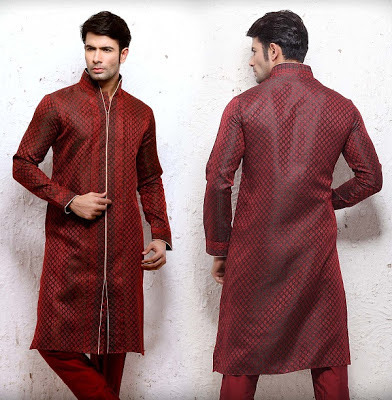 A Sherwani is a long coat-boss jacket fastened with buttons. It comes to just below the knees, somewhere high on the calf. The jacket has a Nehru collar, which is a collar that stands up. 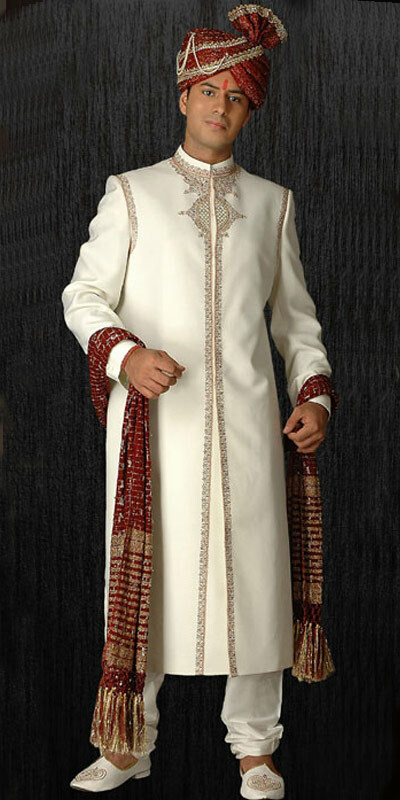 The Sherwani is worn with tighter fitting pants or trousers called churidars. Churidars are trousers that are loose around the hips and thighs, but are tight and gathered around the ankle.Sherwani is usually worn during the wedding ceremonies by the groom and is usually cream, light ivory, or gold colored. It may be embroidered with gold or silver. A scarf is sometimes added to the sherwani. The Indian turban or the pagri is worn in many regions in the country, incorporating various styles and designs depending on the place. Other types of headgear such as the Taqiyah and Gandhi cap are worn by different communities within the country to signify a common ideology or interest. The Dastar, also known as pagri, is a turban worn by the Sikh community of India. Is a symbol of faith representing values such as valour, honour and spirituality among others. 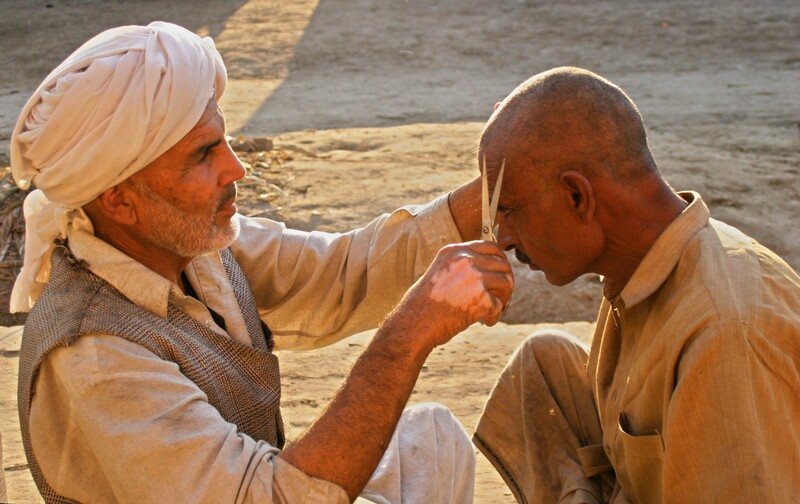 It is worn to protect the Sikh's long, uncut hair, the Kesh which is one of the Five Ks of Sikhism. Over the years, the dastar has evolved into different styles pertaining to the various sects of Sikhism such as the Nihang and the Namdhari. Pheta is the Marathi name for turbans worn in the state of Maharashtra. Its usually worn during traditional ceremonies and occasions. It was a mandatory part of clothing in the past and have evolved into various styles in different regions. The main types are the Puneri Pagadi, Kolhapuri and Mawali pheta. Originally worn by the kings of Mysore during formal meeting in durbar and in ceremonial processions during festivals, and meeting with foreign dignitaries, the Mysore peta has come to signify the cultural tradition of the Mysore and Kodagu district. The Mysore University replaced the conventional mortarboard used in graduation ceremonies with the traditional peta. Turbans in Rajasthan are called pagari. They are distinctive in style and colour, and indicate the caste, social class and region of the wearer. In the hot and dry regions, turbans are large and loose. The paggar is traditional in Mewar while the safa is to Marwar. The colour of the pagaris have special importance and so does the pagari itself. In the past, saffron stood for valour and chivalry. A white turban stood for mourning. The exchange of a turban meant undying friendship. The Gandhi cap, a white coloured cap made of khadi was popularised by Mahatma Gandhi during the Indian independence movement. The practice of wearing a Gandhi cap was carried on even after independence and became a symbolic tradition for politicians and social activists. The cap has been worn throughout history in many states such as Gujarat, Maharashtra, Uttar Pradesh and West Bengal and is still worn by many people without political significance. Western clothing made its foray into the Indian society during the times of the British Raj. Indian professionals opted to wear western clothing due to its relative comfort or due to regulations set then. By the turn of the 21st century, both western and Indian clothing had intermingled creating a unique style of clothing for the typical urban Indian population. Women started wearing more comfortable clothing and exposure to international fashion led to a fusion of western and Indian styles of clothing. Following the economic liberalisation, more jobs opened up, and created a demand for formal wear.